A mobile game is simply a video game that is played using a mobile device. Because of the rapid technological breakthroughs witnessed in the late twentieth and the twenty-first century, the history of mobile gaming is quite short. The earliest game that is known to have been played is said to be a variant of Tetris and the device used was the Hagenuk MT-2000. This was back in 1994. 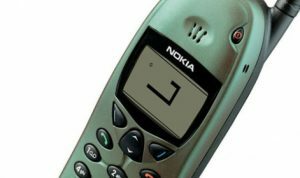 Three years later, Nokia launched the game Snake in 1997. The game was pre-installed on most of the mobile devices that were manufactured by Nokia. It still remains the most played game and is found in about 350 million mobile devices globally. In 1999, the launch of I-mode platform by NTT DoCoMo brought about the first instance of commercialised and downloadable mobile games. This took place in Japan. By the year 2000, downloadable mobile games had now been made available through different platforms and in countries where handsets and modern telecommunication networks had become available. By 2003 in Japan, a number of games had become available, including puzzle and virtual pet games. Although a variety of mobile games were now available and widespread, they were marginal until 2008 when Apple Inc launched the iOS app store. Various companies could now develop more sophisticated games in the form of apps and sell to a wider variety of audiences. This sparked competition in the gaming industry, enabling entry of more companies and the development of the more interesting games in different genres. Today, mobile games of all kinds have been developed. The games are compatible with both the iOS and the Android platform and are available through Google Play and the iOS app store. Moreover, some of the games come already pre-installed with the mobile devices. While some of the games can be downloaded and played for free, some are subscription based.